Plans for the old Ballard Denny's lot. 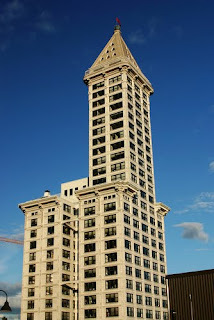 Most of us have seen the Smith Tower located on 2nd Avenue in Pioneer Square. 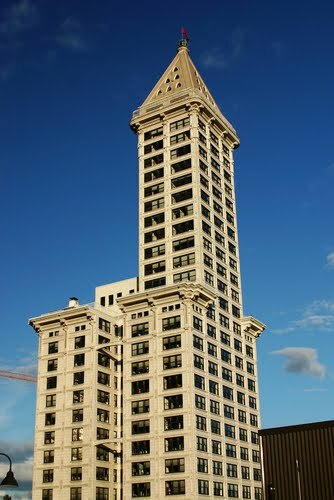 In the midst of many of the low rise buildings and condos in Pioneer Square lies the Smith Tower, a 1914 Seattle Landmark standing at 42 stories tall. It’s named after its builder, Burns Lyman Smith and it has a phenomenal observation desk on the 35th floor. 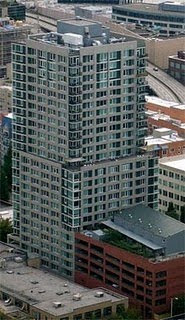 What most of us in Seattle didn’t know until The New York Times brought recent attention to it was that a family currently lives in the pyramid-shape penthouse apartment near the top of the tower. The Lahaie family, Petra Franklin, David and their two daughters, have a long-term lease in the 1,750 sf, two bedroom, two bathroom downtown Seattle apartment. After the building was renovated in 1998, Ms. Franklin decided she wanted to live there-and that’s exactly what happened. Belltown and downtown Seattle living can be found where you least expect it. It just takes a little effort to find to find a rental or for sale property. In a previous blog, agent Michelle McMahan wrote about the McGuire Apartments in Belltown. Yes, that building on 2nd and Wall surrounded by scaffolding, you’ve seen it. In April of this year, the first demolishment announcement was made after reports of structural problems and cable corrosion. Debate (details here) over who was at fault ensued and in the meantime, tenants were asked to vacate with monetary incentives for prompt vacation. Well according to the Daily Journal of Commerce, issues have been resolved and the property owner Carpenter’s Tower LLC and contractor McCarthy Building Companies Inc. have come to a decision-McGuire is good to go. To the ground, that is. 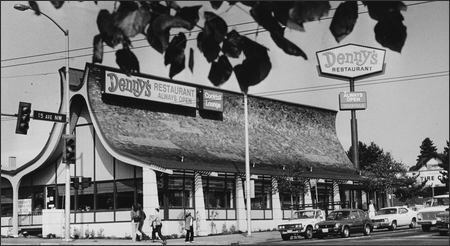 Settlement terms and a tear-down date were not disclosed, but Belltowners can be sure that the building will undoubtedly be demolished. We can only hope that construction closures and the like won’t be affecting the surrounding roads and businesses too much. Bravern’s North Tower Converts To Luxury Apartments. Due to the success of the south tower conversion last April, Schnitzer West, developer of Bravern’s Multi-use complex in Bellevue, made the decision to convert the north tower luxury condominiums to apartments to mimic its neighboring south tower. The south tower's conversion has been extremely successful with nearly 25 leases per month. In the last 6 months, occupany has reached 65 percent. Luxury Apartments are available in both towers for lease starting at $1,550. 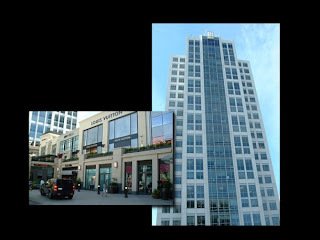 Please see my previous blog about the Bravern Complex for more info. 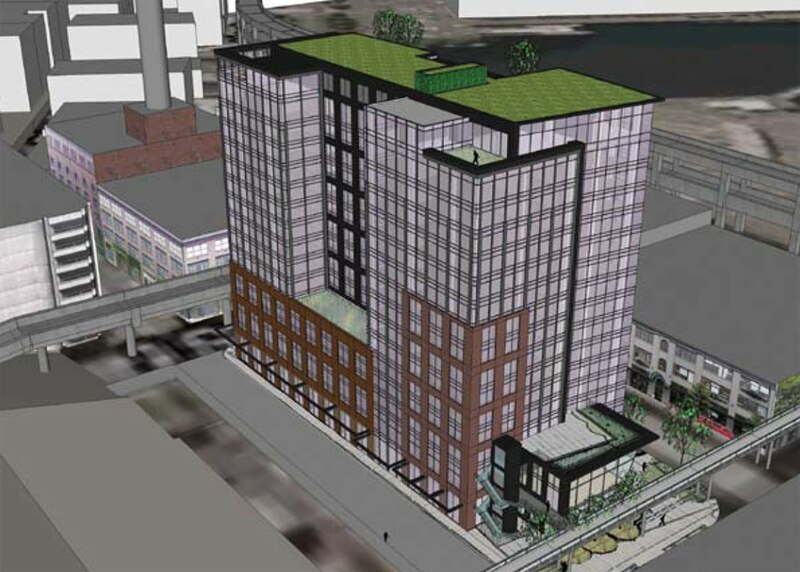 Goodman Real Estate continues to move forward with its project proposal for the construction of a mixed use, multi-family building in Seattle’s historic Pioneer Square District. Land-use signs have been installed with plans to build a 16-story tower with 9,900 sq ft of commercial retail, 208 housing units and 124 parking stalls. 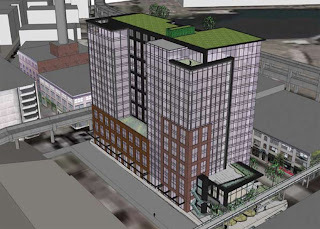 Goodman Real Estate will have to go through one more planning meeting with the Seattle Department of Planning and Development before the project is ready to erect. Please refer to my last blog for more information.